Stand out in the crowd with personalised cupcakes. Perfect for any event or promotion. Plus, we are rated number one for corporate cupcakes in London, so you know they taste good. High-quality personalised doughnuts delivered straight to your door. Each doughnut is handmade by us in our Bakery, to ensure theh highest standards. Enjoy these little delicious branded macarons from Amore Bakery. We have perfected being able to print your logo onto the top of macarons for the perfect gift, reward or show-stopper at an event. Add the macarons to your basket and head to the checkout. Add your date into the date field at the checkout. A 7-day notice is required for all macarons. Our custom orders are perfect when you need something special. From corporate cupcakes that are colour matched, or a doughnut wall for your wedding, we can create anything you wish. Get in contact or fill in the form below to get a custom quote. Amore Bakery is run by Paulo Benfeito, who has been producing corporate cupcakes for over 10 years. All the cupcakes are made locally in London by Paulo and his amazing team. From frosting to cake mix they know it all. 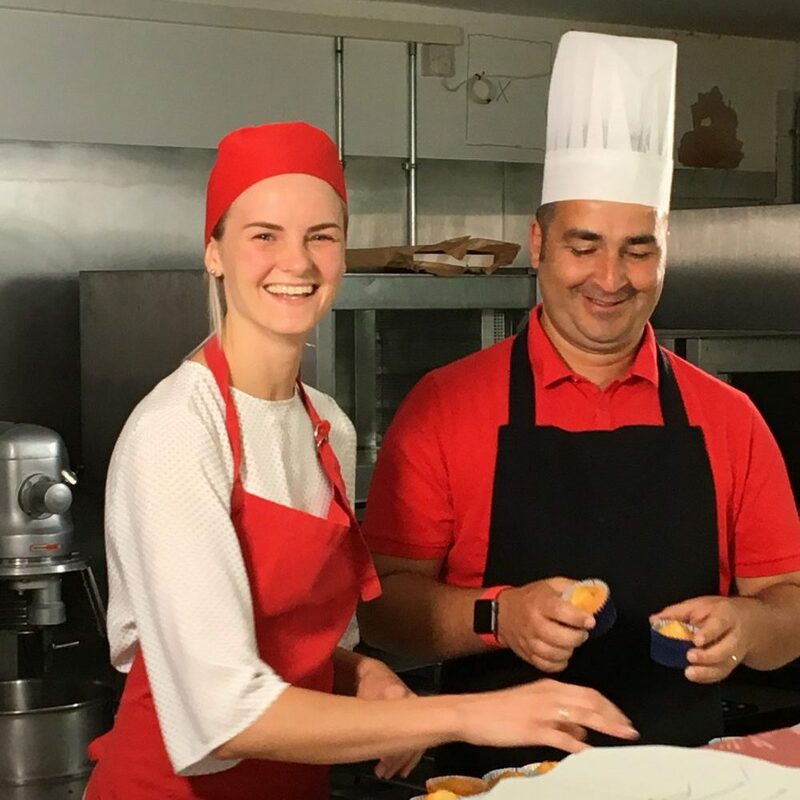 Paulo and his team have the highest rating of any cupcake delivery company in London, producing branded cupcakes & personalised doughnuts for every occasion. They also run cupcake classes in their London Bakery. Paulo and his team deliver cupcakes all over the UK, 24 hours a day, 7 days a week. They only need 24-48 hours notice to freshly bake and produce your personalised cupcakes and deliver them to your door.